Revelation 2:18-23 ESV And to the angel of the church in Thyatira write: “The words of the Son of God ,who has eyes on a flame of fire, and whose feet are like burnished bronze. (19) I know your works, your love and faith and service and patient endurance, and that your latter works exceed the first. (20) But I have this against you, that you tolerate that woman Jezebel, who calls herself a prophetess and is teaching and seducing my servants to practice sexual immorality and to eat food sacrificed to idols. (21) I gave her time to repent, but she refuses to repent of her sexual immorality. (22) Behold, I will throw her onto a sickbed, and those who commit adultery with her I will thrown into great tribulation, unless they repent of her works, (23) and I will strike her children dead. And all the churches will know that I am he who searches mind and heart, and I will give to each of you according to your works. “I will value fellowship with Christ in suffering as one of the high callings of life even if accused unjustly.” He then cites as a proof-text Matthew 5:11-12, Blessed are you when people insult you and persecute you, and falsely say all kinds of evil against you because of Me. Rejoice and be glad, for your reward in heaven is great…” So, tell the victim of abuse to rejoice and be glad. She is suffering with Christ. Go home and be glad. AND THE CHURCH DOES NOTHING!!!! The church has just joined ranks with the abuser, enabling him to continue in his deception and evil. Applying Scripture in this way to the abuse victim (actually in ANY case) is terrible. Little wonder abusers are able to hide in the church. Does GOD forgive anytime He is asked? And what have we learned about the tactics of the abusive man? One of his favorites, especially if his façade is one of the great, fine Christian man, is “well, I asked you to forgive me, so you have to.” IN FACT, we have learned that such a demand is a definite mark that real repentance has NOT taken place. To grant forgiveness in such a case is to be duped by the abuser and participate further in enabling his victimization of others. A second point of review is another that we emphasized last week – that of boundaries. As I have thought more about boundaries and how vital they are in all interpersonal relationships, I felt the need to emphasize this subject to you again. In dealing with an abuser, recognizing that the victim has rights/boundaries and that no one can violate those boundaries without her permission is vital. Victims must learn how to enforce her boundaries with the abuser. This may mean that she simply leaves. When I use the word boundary, I am referring to the limits we have around our bodies and our minds to protect our safety, our integrity, and our privacy. Our boundaries can be thought of as fences with gates in them. At certain times we decide to open the gates and allow chosen people to pass through; at other times the way is blocked, and we have a right to have the limits respected. Certain people we prefer never to let in, and places exist within us that may be open to no one. [Lundy Bancroft, When Dad Hurts Mom]. NOTE: Because God is all-seeing and all-knowing He searches our hearts and minds completely. There are no boundaries that He does not have authority to cross. BUT GOD IS SEEKING RIGHTEOUSNESS! HE IS PERFECT AND CAN BE TRUSTED! WE CAN AND SHOULD PRA Y THA T HE SEARCH US COMPLETELY AND SEE IF THERE BE ANY HURTFUL WAY IN US. But man, and certainly not the abusive man – is not God! No human being has complete power and sovereignty over our boundaries. Nor should they. Annie needs to enforce her right to boundaries. If he protests and accuses and blames, as an abuser will, Annie still needs to stick to her guns and not yield her boundary. If Ray continues, he needs to know that there are going to be consequences for him. Learn more about boundaries. They are key to ALL of our relationships. [See Setting Boundaries With Your Adult Children by Allison Botke as one example]. An abusive person is someone who exercises a pattern of coercive control and power in a relationship, with the confident belief that he/she is entitled to that control and power. He or she sees themselves as completely justified in using abusive means to enforce that power – physical violence, sexual assault, verbal abuse, etc. Entitlement means that the abuser has the belief that he/she has special rights and privileges with no accompanying responsibility. He sees himself as one who has a special status. The life of his victim(s) is to center upon him and his needs. Abusers believe themselves to be superior to their victims. They view their victims with contempt. As objects to be owned and possessed.The abuser is profoundly manipulative and deceptive. He is ingenious with his disguises and successful at duping others into believing that his victim is the real problem. Abusers are skilled at psychological abuse – “brain- washing” if you will. They successfully convince their victims that the blame for the abuse lies with the victim and not with the abuser. Abusers are experts at “externalizing responsibility.” That is to say, they are masters at laying blame upon others. Abuse is a MINDSET AND ATTITUDE, A MENTALITY . It’s cause is NOT drug or alcohol abuse, or a bad temper/anger. It is not because the victim “pushes his buttons.” It is his mindset of power and control and entitlement. Drug and alcohol rehab or anger management counseling will not be very helpful because they do not address the root mindset. Abusers (AND their allies, like US if we are not wise), deny and minimize the seriousness of their abuse. The very high percentage of abusers are NOT mentally ill. This is not an explanation for the vast majority of abuse. Neither is low self-esteem, insecurity, or childhood victimization. Nor a lack of skill in conflict resolution. That these things do not adequately explain the abuser is evident in the fact that in the majority of cases, the abuser is very selective about his victim(s). He will function well around and be highly thought of by other people. This would not be possible if he were in fact mentally ill. The church has not done a good job in this area. Very often, pastors, counselors, and Christians have been and are duped by the abuser and end up enabling the abuse and even participating in the victimization of the victim. Finally, and yet of first importance – as Diotrophes (3 John) exercises abuse in his home, so he will exercise it in the church so often. By studying the methods and mindset of the abusive man, we can be much better equipped to be wise to his deceptions in the church, and we will also be wise regarding how to deal with him. Ignorance as to these things is not an option for any of us. Alright then, back to Jezebel – the woman as abuser. Women are sinners too. Men are abusers more often than women, but not because they are more evil than women. Rather, typically they have more power and resources to abuse than women generally do. Men and women are both born into this world fallen in sin. Our sin plays itself out differently and men use their generally greater strength to pursue power and control over a woman. “A phone conversation we will never forget took place just as we finished a radio broadcast on family violence toward women. The voice on the phone was clearly not a woman but a young man with a distinctive accent – a student from overseas who was attending a local Bible College. With a quiet, trembling voice he admitted that he was afraid of his wife. The day before when he arrived home from class and walked into the couple’s apartment, a knife whizzed through the air, barely missing his right ear and becoming embedded in the wall behind his head. He fled the apartment and slept in his car that night. His plea was heartbreaking. Not only was he in an unfamiliar country but also he was a Bible college student here on a scholarship. Where could he go for help? Who would believe him? How could he get help for his wife? Research indicates that between 5 and 35 percent of family violence victims are men, but statistics do not present a realistic picture because many cases go unreported. Men are less likely to call the police, because they feel embarrassed or because they may have a difficult time convincing the police they are the victims and not the perpetrators. They are concerned about the well-being of the children and may feel better able to protect them if they stay in the home. There are fewer resources available to help abused men. Proverbs 21:9 ESV It is better to live in a corner of the housetop than in a house shared with a quarrelsome wife. 1 Kings 19:1-3 ESV Ahab told Jezebel all that Elijah had done, and how he had killed all the prophets with the sword. (2) Then Jezebel sent a messenger to Elijah, saying, “So may the gods do to me and more also, if I do not make your life as the life of one of them by this time tomorrow.” (3) Then he was afraid, and he arose and ran for his life and came to Beersheba, which belongs to Judah, and left his servant there. The abusive wife in action, you see. It is ugly. Verbal abuse – demeaning and emasculating. Have you ever demeaned your husband for not being “a man”? NOTE: I cannot remember where I read the statement, but in my reading on abuse I did come across an interesting and sobering statement – by a female author as I recall. She said that in all of her work with abuse situations, while she has seen some male abusers repent and change, she has never seen a female abuser do the same. Why? I don’t know, but let this statement serve to warn us of the gravity of this sin. In other words, the quote above by Patricia Evans is a bit of fantasy to a large degree. That is to say, it presents a woman abuser’s experience when she comes to see and realize what she is doing. But as I like to say, abusers never change and it is my opinion that this is true of women abusers as it is true of men who abuse. “One of the most difficult admissions for a man to make is to admit having been beaten by a woman. It is not natural…not manly. And it is also very fearful, because who knows what response the admission will provoke. Will it be support? Laughter? Jeering? No one can describe the shame that a man feels. Snow lived that shame for 12 years until it culminated in a nervous breakdown. Because of the shame and humiliation he felt from the abuse and the subsequent nervous breakdown, he didn’t leave his mother’ s house for 3 months. Fear kept him there and finally motivated him to leave. One afternoon when his mother returned from church she reported, ‘Brother Wiley said that if you do not leave this house, you will NEVER leave this house!’ I believed what he said, so out of fear I left even though I was afraid. Snow’s own violent response to his wife’s abuse compounded his feelings of shame. He admits, ‘I was no saint either, but I was not physically violent initially. After being struck, scratched, and attacked, I retaliated with physical violence. That made my shame and guilt even worse.’ He understood that his wife’s violence was an expression of her internal pain – but also being spoiled. There were no consequences for her violent behavior (growing up in an adopted home). She was raised by wonderful people, but they never meted out any punishment of any type for her behavior, thus reinforcing it. He recalls an episode, and a turning point for him, that occurred after a group of young people visited them in their home. ‘After they left, she began slapping and hitting me, telling me how much they loved her. This unprovoked attack did not make sense to me. I believe she was trying to say that people loved her in spite of her behavior. I left after that and stayed away for 5 months because I could not keep living in such turmoil. Jezebel ranks right up there with any of the most wicked people in the entire Bible. There is no place for Jezebel in the Church. Yet over the years it has been my experience that many (most?) churches have at least one, and often several. They rule and dominate others. They are queens of their domains – tolerating no one encroaching on the power and control they see themselves entitled to. Danielle’s father was a pastor – a well-known pastor and leader in his denomination. Danielle had her life all worked out, and the life of her future husband. She would see to it that he would go to seminary, become a pastor, and she would have the glory of being “the pastor’s wife” in the congregation. She married John. John was a nice, Christian man who truly loved the Lord. He was soft-spoken and kind. Somehow, he ended up as Danielle’s husband. She saw to it that he went through seminary, though he was never actually called by the Lord to the pastoral ministry – as time would prove itself out to be the case. Once seminary was over and some considerable time went by without John being called to a church, Danielle became increasingly unhappy about John’s performance. They had a number of children by now. Danielle began to alienate the children from their father. She announced that she was called by the Lord to launch out into a speaking ministry worldwide, which she did with her male assistant. John and the children stayed home. John was an abused husband – but who would believe him? His wife had grown up in the church they attended, the daughter of the pastor. You might guess how the story ended. Danielle divorced John and moved on. And guess who ended up having to leave their church? Danielle? Hardly. John left, once he realized that the church was going to do nothing to bring justice to his case. And ultimately, after a number of years and more disappointments in his life, John committed suicide. There is NO place for this among us. No place for Jezebel. Like the Jezebel of Thyatira, she will lead the people of Christ astray. Her God is not Christ. She serves an idol of her own creation. She expects everyone else, especially her husband, to worship her idol as well. May the Lord expose Jezebels and protect this church from her kind. The “church” has failed. The church is supposed to assist the saints in living their daily life by interpreting the word of God to assist the believer. This is not happening in the churches today. As I sat in church this morning listening to the grace on steroids sermon. How were supposed to love unconditionally and how no one is past redemption. The theology that is presented in the worship songs speaks of repentance which I’ve rarely seen. The theology sung about also speaks of gods power to forgive which is latched upon by the unrepentant and turned against the victims of evil who dare speak up! 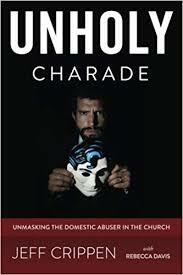 The God can do anything including change an unrepentant abuser theology. I then whipped out my phone and went to my real church —Pastor Crippens blog. Where I am reminded of the truth. The truth That repentance is required for forgiveness, that boundaries should be honored and that not all who claim to be Christians are not true disciples. The church should be responsible for protecting the saints from wolves. And that first and foremost the church should be experts at identifying wolves. Which it is certainly not doing by any means. How I misapplied scripture for years as I dealt with abuser after abuser. Not only in my church with an evangelical leader, but in the job and in my neighborhood. With women abusers. Why!! Why!! Was this happening to me. It was happening because evil hates the good. Evil wants to destroy the godly. It’s that simple. God does not call us to be scapegoats. God does not call us to be powerless victims. This is the teaching that would have helped me years ago. Why didn’t the church teach me this?? I needed to know how to deal with the evil abuser in my church, on the job and in my neighborhood. The clarity provided by this blog has helped me to understand that God is for me, I am not alone, others are suffering and have suffered the same injustices, I can pray the psalms and see answers to my prayers and God will bring justice on my behalf. I can’t wait!! Thank you for the grounding that you provide Pastor Crippen. Please don’t stop. I read your blog everyday it has helped me so much. And I’m better for it. I now see that when I speak up (in some cases) the righteous follow me. I’m in a better position to be a leader amongst the true righteous because I am being bold. This is expanding my influence which is in turn in a small way expanding the kingdom on earth. Because that’s what it’s about right? He’s about justice and righteousness! The kingdom of righteous that we will someday after this life enjoy. For all true believers,. As believers we should be doing his will on earth as it is in heaven. Aren’t we supposed to be doing that. I hope I am. And thanks to you Pastot. I’m empowered. WW- and thank you for your insights and encouragement! What do you think happened to John, having suicided? Reader – That is a good question and really the answer is that only the Lord knows. I enjoyed many years and times of friendship with him and never doubted that he knew the Lord. What was problematic though was what I would call his naivete regarding evil and I believe that in the end this is what was his downfall. He just could not handle the wickedness of people and could not process it. His paradigm didn’t allow for what the wicked did to him. This allowed the enemy access to his mind. I feel similarly. I just cannot handle the wickedness and depravity of people and I’m so traumatized, so mangled, so harmed. Being in a pit with too many vipers leaves the target full of venom and unable to cope. Awash in grief and trauma and pain. I’m sorry you lost your friend. John was the man who suicided via bridge/river, yes? Abuse is murder. Inducing suicide is an abuser’s tactic. My abuser tried his very best to do so and others followed suit. I believe the abuser bears responsibility. Just like the kids bullied to death today (same thing happens with adults and because they’re adults they bear full responsibility). They were murdered, in my opinion. Imprecatory Psalms are about my only comfort right now. Knowing the wicked will burn in hell is of comfort. They’ll eventually die and then they’ll burn in hell. Not sure how to reconcile the whole “love your enemies” and “bless those who persecute you” part anymore. Just seemed to ensure more predation, exploitation, abuse, harm, and so forth. I don’t know how to cope with life anymore. And this has been years upon years. Yes, in a real way he was murdered. That is a good way to think of it. Not sure how to reconcile the whole “love your enemies” and “bless those who persecute you” part anymore. “Love your Enemies” – What does this mean?